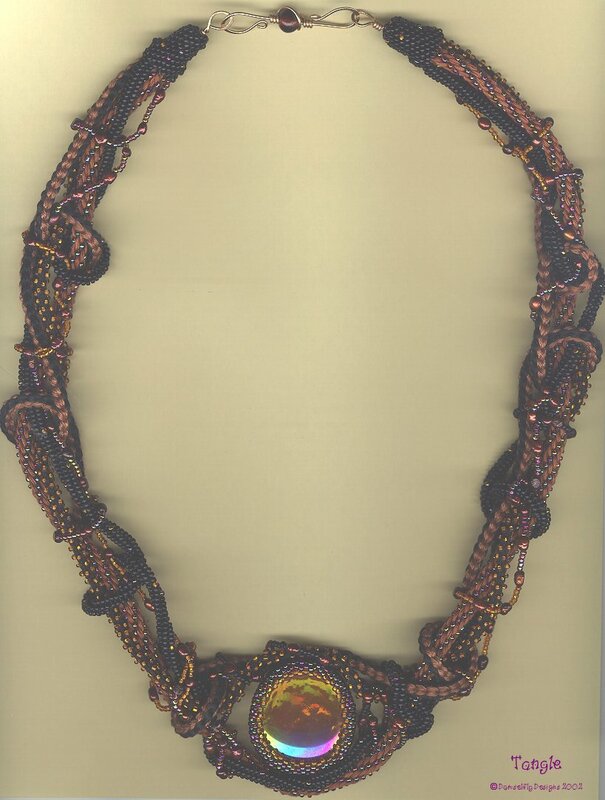 Shown at left is Tangle, created as the juror's piece for the Sea Strands Exhibit at Convergence 2002, a necklace that combines kumihimo braids, strung beads, herringbone chain, a peyote bezel, as well as custom wirework. 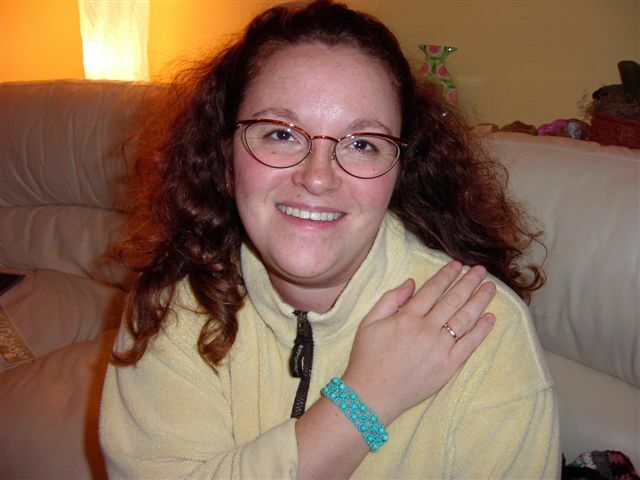 Marie wearing a right angle weave bracelet of turquoise. 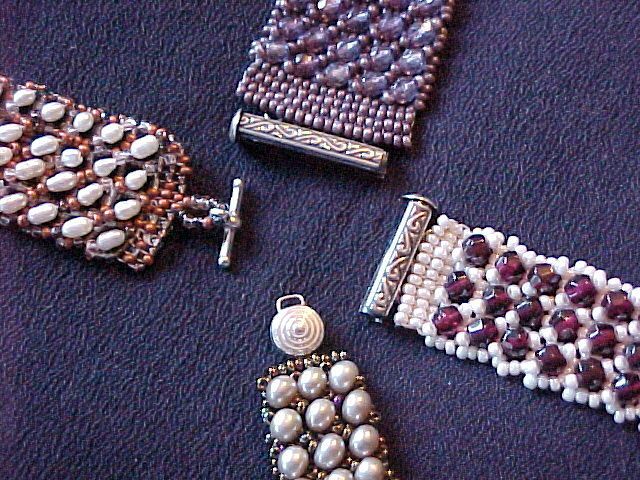 A selection of right angle weave bracelets. 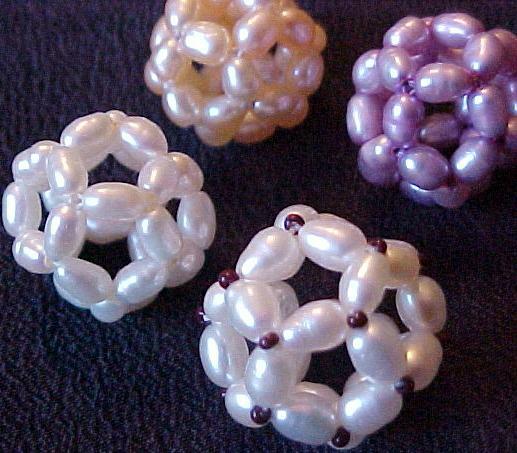 An array of dodecahedrons made with pearls. Personal collection. 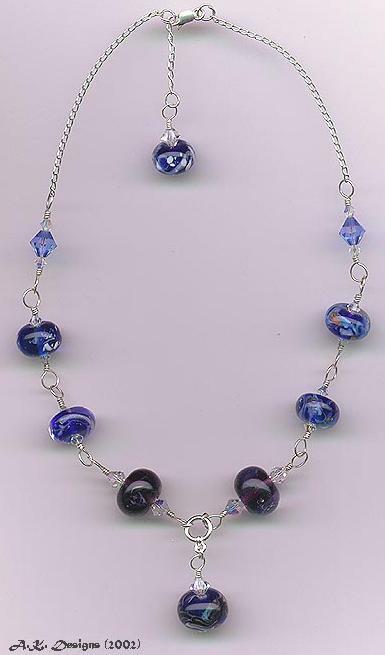 Each lampwork glass bead is hand-crafted with images representing the Earth as seen from outer space, then combined with Swarovski crystals and sterling silver wirework for a one-of-a-kind design. 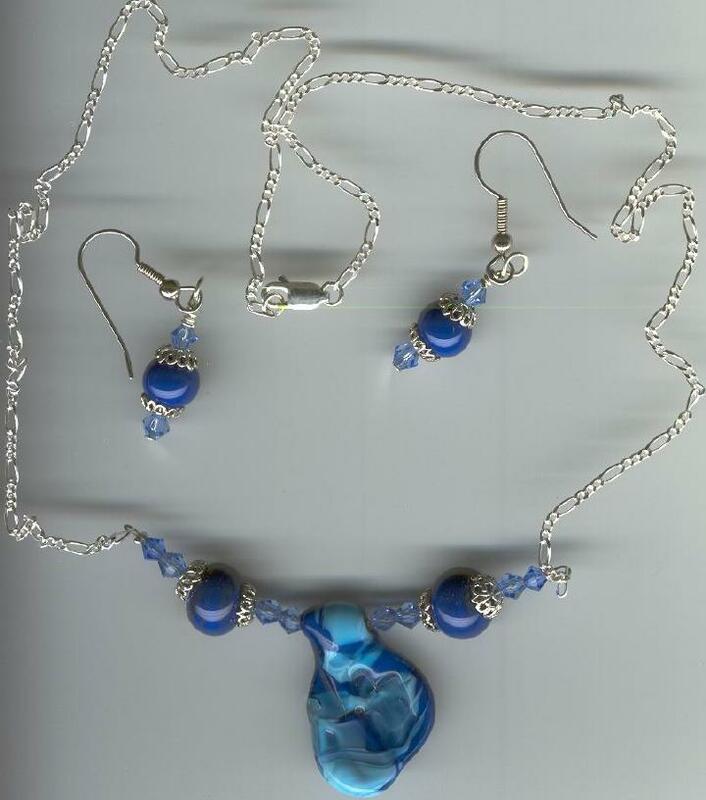 A lampworked pendant with sterling silver chain, lampwork accents, and matching earrings.